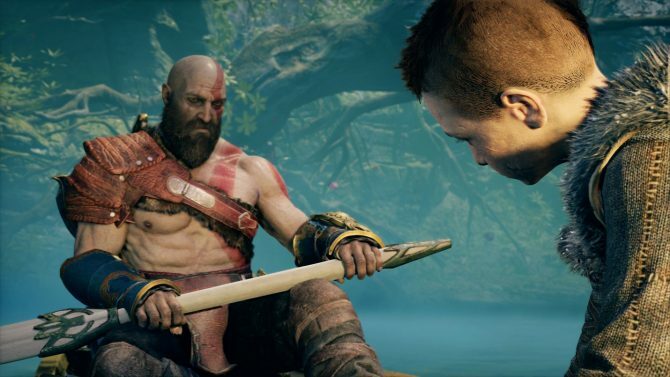 You can’t seem to get away from the hot topic that is Sekiro: Shadows Die Twice right now, especially on social media platforms where numerous debates surrounding accessibility and an “easy mode” are in abundance and probably the most talked about aspect in a gaming title for quite some time. 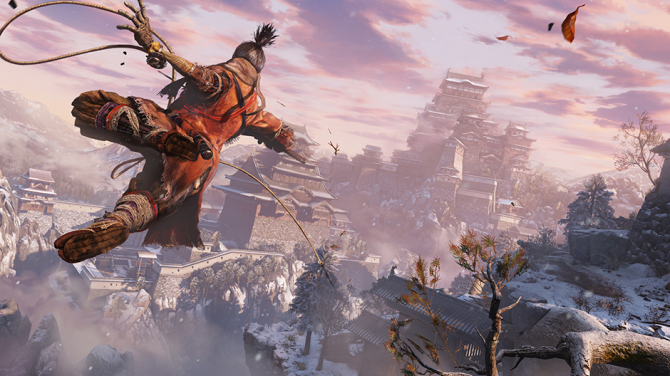 Whatever your stance is on the debate, there’s no taking away from the fact that Sekiro is doing pretty well for itself having sold two million copies in less than 10 days. Sekiro understandably has its fair share of fans as we’ve seen lately when someone decided they wanted to recreate a replica of the prosthetic arm from the title with amazing results. To follow on with this influx of fan-made recreations, enter Kris Watts who is an Illustrator and Graphic Designer to show us what he can do. 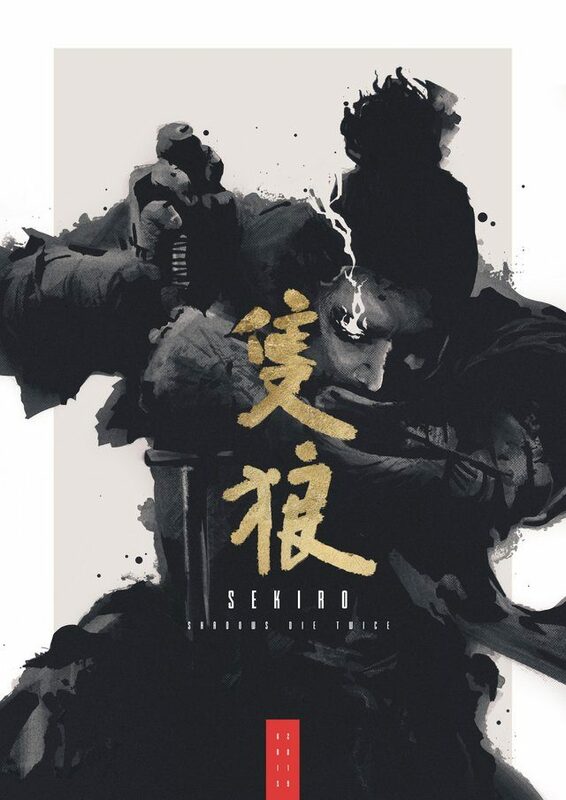 In Kris’s Sekiro inspired artwork, we see “The Wolf” who is the main protagonist in the game, seemingly kneeling while holding his mightly Katana. Kris designed this art piece entirely on photoshop and drawn mostly using watercolor/ink brushes. The small attention to details is what really captures this piece – especially the white flame or crack that drifts up from the wolf’s eye. 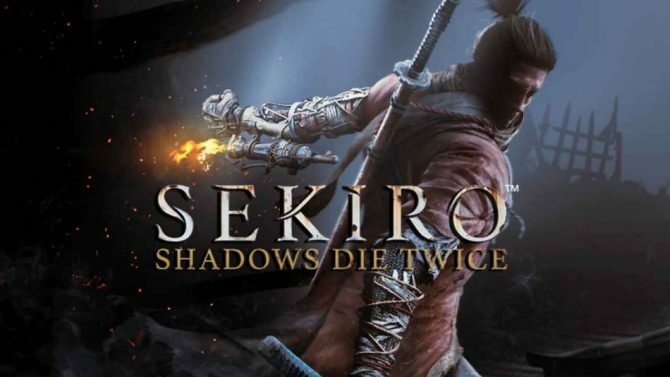 The only dash of color we see is the gold Japanese lettering that translates to “Sekiro: Shadows Die Twice”. Even though Kris has obviously taken a lot of inspiration from Sekiro, he also had Metal Gear Solid in mind when crafting this and now knowing that information, you can see Solid Snake lurking within the style. If you’re thinking that it would look awesome on your wall, then you’re in luck as you can purchase this very poster from the Society6 website. Maybe wall art isn’t your thing and you’d like it as a phone case or greeting card – well, you can do that too over on RedBubble. Sekiro: Shadows Die Twice is available now for PS4, Xbox One, and PC and if you think you could beat YouTuber danflesh111’s completion of the game in under an hour, you can go ahead and pick up the title over on Amazon right now.